Breadcrumb NavXT 6.0 is now in the feature freeze phase of development. At this point, it is necessary to disclose the changes in Breadcrumb NavXT 6.0 that will require the attention of users and developers. Unlike a typical release, quite a bit has changed under the hood in this release, hence the bump up from 5.7 to 6.0. Development for 6.0 focused heavily on reworking the bcn_breadcrumb_trail class. This rework impacts some extension plugins to Breadcrumb NavXT. If you have written custom code extending Breadcrumb NavXT, please see the deprecations section for functions and filters that have been deprecated in Breadcrumb NavXT 6.0.0. Over the next several weeks, leading up to the Breadcrumb NavXT 6.0 release, the following plugins will receive updates to support Breadcrumb NavXT 6.0. If a plugin listed below is in use on your site, please update to the version listed below before updating to Breadcrumb NavT 6.0. Before upgrading the Breadcrumb NavXT 6.0.0, please upgrade Breadcrumb NavXT Menu Magic to 1.5 or newer. Failing to do so will result in PHP errors being thrown. 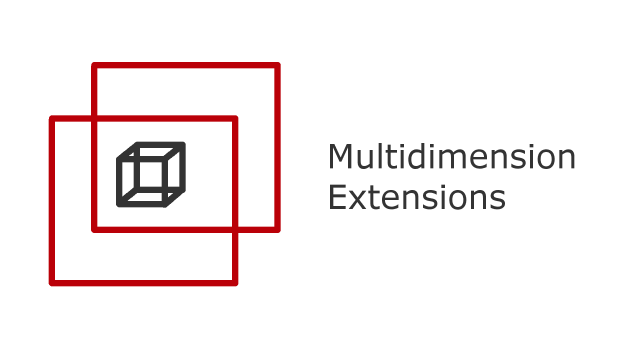 Before upgrading the Breadcrumb NavXT 6.0.0, please upgrade Breadcrumb NavXT Multidimension Extensions to 2.5 or newer. Failing to do so will result in PHP errors being thrown. Breadcrumb NavXT 6.0.0 officially bumps the required PHP version to PHP5.4 or newer. It is nearly impossible to test on PHP5.4 now, so support has to be dropped. Likewise, WordPress 4.6 or newer is now required for Breadcrumb NavXT 6.0.0. As part of a major refactoring of the bcn_breadcrumb_trail class, several functions were deprecated, and a couple were removed. Additionally, one filter was deprecated as part of this refactoring effort. The display() function within bcn_breadcrumb_trail was refactored to be more generic, including a new $template parameter, as a result display_list() has been deprecated. This function was deprecated in Breadcrumb NavXT 6.0.0, however it still exists as a wrapper to the proper call to display() including the requisite template. There was substantial overlap in functionality between do_front_page() and do_home(). As a result, do_home() was made more generic and do_front_page() was removed from Breadcrumb NavXT 6.0.0. This was an auxiliary function to do_root() that determined the post type to use for the root. Since do_root() was refactored such that it no longer determines state, this function was removed in Breadcrumb NavXT 6.0.0. In refactoring do_post(), the functionality that was special to do_attachment() was absorbed into do_post(). These two functions were very similar in previous releases and it was a natural target for refactoring. This function was deprecated in Breadcrumb NavXT 6.0.0, however it still exists as a wrapper to the proper call to do_post(). In the refactoring effort to remove state determination logic from the lower level functions, this function’s behavior was split out into three functions: do_day(), do_month(), and do_year(). Internally, Breadcrumb NavXT now calls a combination of these three functions as needed. This function was deprecated in Breadcrumb NavXT 6.0.0, however it still exists as a wrapper to the proper call to do_day(), do_month(), and do_year(). As part of deprecating bcn_breadcrumb_trail::display_list(), the bcn_li_attributes filter has been deprecated in Breadcrumb NavXT 6.0.0. Replacing it is the new bcn_display_attributes filter. In general, Breadcrumb NavXT, due to its use of the WordPress API, is compatible with other plugins such as WooCommerce. Occasionally, this is not enough and additional code is required for proper functionality. Other times, as with WooCommerce, proper settings configuration is sufficient. WooCommerce – At the time this article was written, 3.1.0 was the latest available version and was the version tested against. Breadcrumb NavXT – Tested against a development release of 5.7.1. Ensure that the “Products Root Page” in the Breadcrumb NavXT settings page (Settings > Breadcrumb NavXT > Post Types) is set to the same page as the “Shop page” setting in WooCommerce (WooCommerce > Settings > Products > Display). Ensure that “Product Archive Display” is unchecked. Ensure that “Product Hierarchy Display” is checked. One thing to keep in mind: when changing the “Shop page” in WooCommerce, the “Products Root Page” in Breadcrumb NavXT will likely need to be changed as well. Otherwise, the Products page in the breadcrumb trail will not match the WooCommerce shop page. Ten years a go, I released the first version of Breadcrumb Navigation XT after adopting it from its original maintainer, Michael Woehrer. At that time, I did not fathom the journey I would take with it. Within the first few months after adopting Breadcrumb Navigation XT, a settings page was added and it took on a new name (now known as Breadcrumb NavXT). Fast forward to today, it has been rewritten from the ground up twice (in 2.0 and 3.0), translated into 18+ languages (counting >80% translation completeness), downloaded more than 4 million times, and used on over 600 thousand sites. In commemoration of this anniversary, Breadcrumb NavXT 5.7.1 was released today. Originally, the intent was for Breadcrumb NavXT 6.0 to be released. However, Breadcrumb NavXT 6.0 is not ready yet, and a fall release is a more realistic target. Lastly, in August, I will be giving a presentation at WordCamp Minneapolis/St. Paul 2017 covering the highlights of my decade long journey with Breadcrumb NavXT.